Add more happiness, joy and success to your life through positive thinking, motivation and good habits. 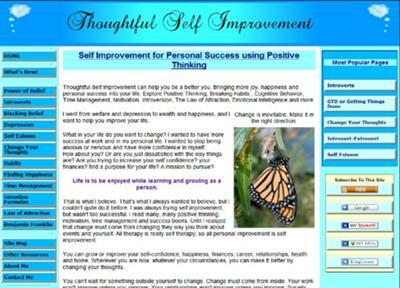 Learn tips for increasing self-esteem. Find ways to overcome shyness and blocking beliefs. Learn what intention manifestations are and how they relate to the law of attraction. Find help to visualize the life you want.